No registration rights on the ground value ! 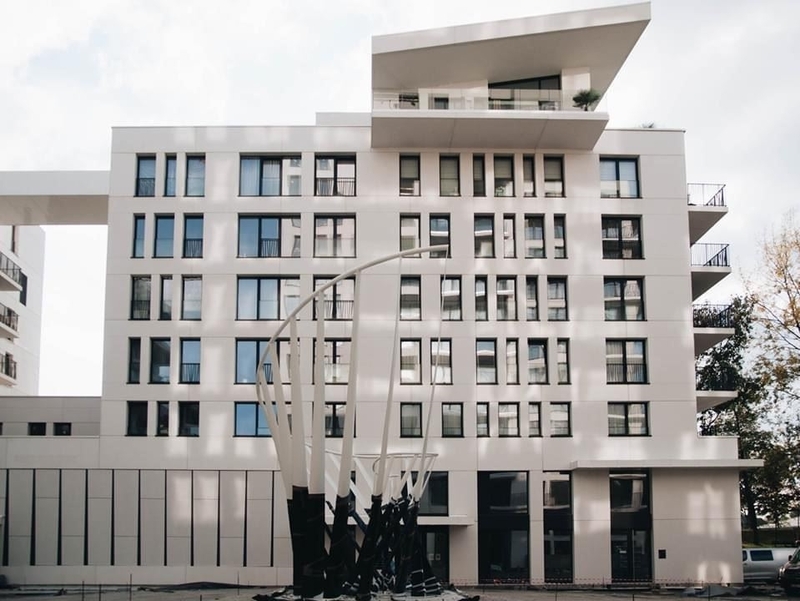 ANDERLECHT - Nautilus is a residential real-estate project with audacious and contemporary architecture located along the canal at the entrance of Brussels. This is actually the place to be! This exceptional location will benefit, in more than one way, to its inhabitants. Thanks to its 16 floors, this construction characterized by light and sleek lines will offer exceptional views that very few promotions will be able to compete with. Situated in a green and friendly setting, close to the city center, this building offers unique accessibility (main roads, proximity to the South station and public transport), all nearby amenities, schools of any type of education. In short, this is an interesting location for both investors and buyers. This environmentally-friendly building offers luxury apartments with high-quality finishes, for the one-bedroom apartments, as well as for the two or three-bedroom ones. The beautiful terraces decorating each housing unit are also worth to be mentioned. The shops and restaurants in the other buildings on the site will offer the inhabitants a quality of life in line with current lifestyles. Brussels is a city that moves and Nautilus is a worthy representative.